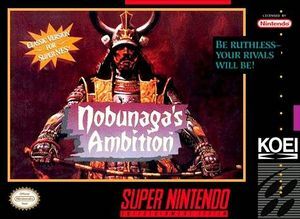 Nobunaga's Ambition (信長の野望 Nobunaga no Yabō) is a game set in Japan’s Warring States period, a turbulent age when feudal warlords battled for control of the country. As the ruler of a fief, the player chooses his or her own path to conquest: Will you wage war on your neighbors or rely on diplomacy? Use economic sanctions or send ninja assassins? Use all of your ingenuity and resources to unite Japan under your banner! The graph below charts the compatibility with Nobunaga's Ambition since Dolphin's 2.0 release, listing revisions only where a compatibility change occurred. This page was last edited on 20 December 2017, at 04:01.